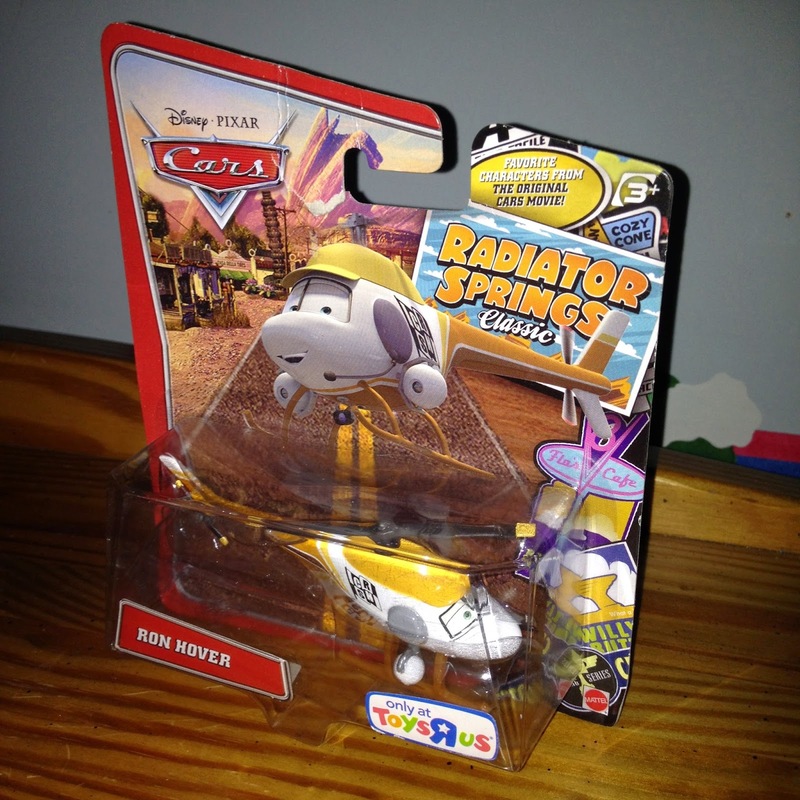 Here we have Mattel's 1:55 scale diecast re-release of Ron Hover, a character seen in the original Cars! Ron was originally available in the 2009 "Race O Rama" series, followed by this 2012 re-release in the Toys R Us exclusive "Radiator Springs Classic" series. He has also been released with "Lenticular Eyes" as well. 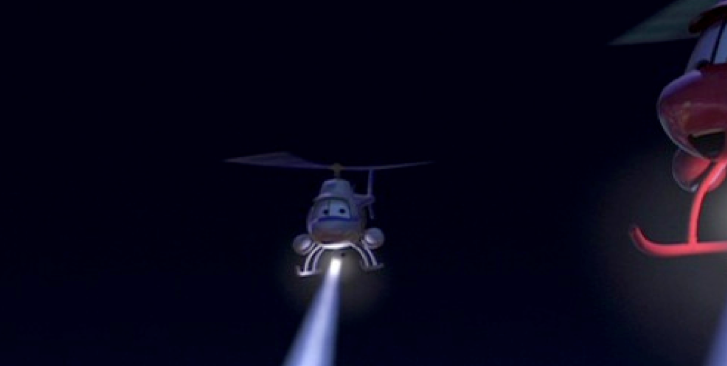 As shown in the screen shot above, Ron is a CRSN (Cable Racing Sports Network) news copter, briefly seen hovering with Kathy Copter, when the press discovers Lightning Mcqueen's whereabouts in Radiator Springs.